Your customers are humans. You’re not trying to sell your products and services to Google’s web-crawler bots. This means you should be writing content aimed at humans, not algorithms. At the same time, the algorithms control search results and SEO can have huge effects on your bottom line. So as much as you might want to create beautiful content written for a human audience, it can seem that economics favours the robots. The truth is that you can - and must - write for both. But it’s easier than you might expect. By following the principles of human-centered content, you can create juicy content that boosts search engine rankings while simultaneously speaking clearly and directly to an audience of actual people. The most critical rule for almost any form of communication is to know your audience. Your product itself should already have given you an idea of your general audience, but it’s good to have an understanding that goes somewhat beyond that. Robust knowledge of your target demographic will make it easier to convert sales. This is just old-fashioned marketing expertise - the art of demonstrating why your product’s specific features match up with the customer’s specific needs. Even in a semi-faceless online space, it’s important to remember that there’s a real person with their own unique interests, needs and wants behind that computer or smartphone. How well you address those interests, needs and wants can make or break your e-commerce business. Human-centered content doesn’t mean throwing data out the door. Quite the opposite, in fact. The data can tell you an awful lot about who you’re addressing. If you haven’t been taking advantage of Google Analytics yet, it’s time to start. This powerful and free suite of tools is built right into Google, so there are no good reasons not to use it. It can give you great actionable insights, such as what search terms people are using to find your site and where they are landing. Getting into the granular detail of these data points can give you a much better idea of your audience than simple raw numbers. Once you’ve got a better handle on your traffic patterns, you can start deciding where to allocate resources. One good way to start is by optimizing the pages that visitors land on frequently from search engines and make sure it’s easy to get from those pages to the rest of your site. When doing so, remember to optimize for a mobile-first framework and, as a best practice, split test every element by launching a new version every two to four weeks so you can keep fine-tuning the landing page and improving your conversion rate. Some of the keywords that can really help your e-commerce site might not be immediately obvious. Long-tail keywords are just such a group, and they’re particularly useful because they offer more targeted opportunities for leads and conversions. The keyword "cat food," for example, has a wide variety of long-tail variations. "Cat food grain-free," "cat food senior cat formula," and "cat food for kittens" are all more likely to result in a conversion because these consumers are at a later stage in their journey and have a better idea of what they want. If these shoppers are coming to your site, you stand a good chance of converting a sale if you have the product they’re looking to purchase. 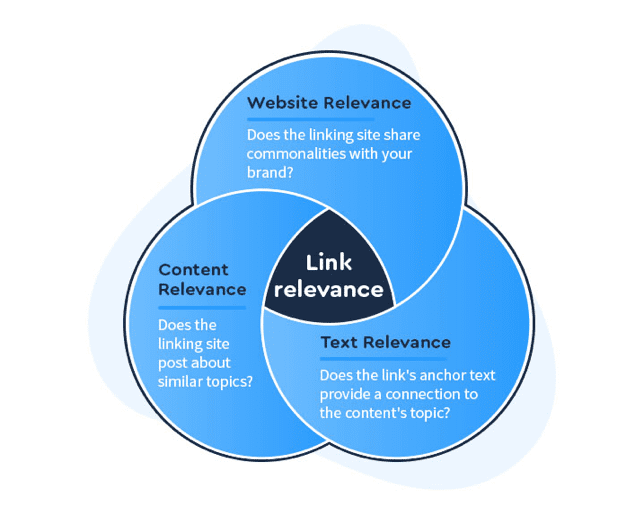 The overwhelming point to this is that e-commerce brands need to make sure their links are relevant to consumers and contain the right keywords that will be most likely to target consumers in the purchase phase rather than just the product research phase. Providing useful and interesting content like this is key to creating what Google's algorithm considers to be high-quality content. It can also provide benefits such as a lower bounce rate (the rate at which visitors leave the site after viewing only one page) if your content is more useful and more relevant. Any time you’re unsure of what direction to take your content in, remember to ask what the sales purpose of that particular piece is. It should address customers at one or more stages of the sales funnel or path to purchase. If you’re targeting customers at the beginning awareness stage, for example, you might focus on content that explains relevant concepts to help potential customers understand their decisions better. But if you’re targeting customers who have already reached the decision stage, you might focus on what your product has that competitors lack. 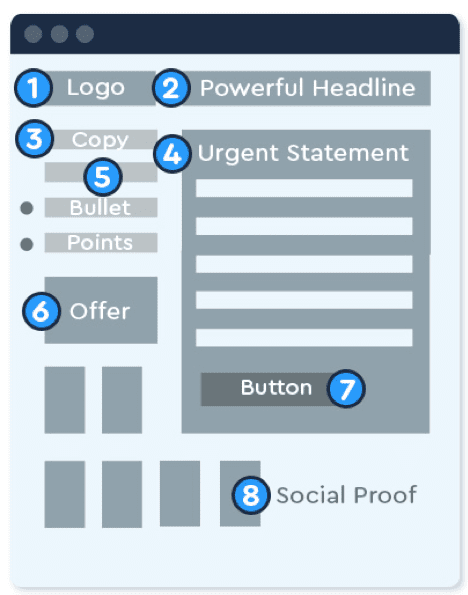 Looking at your content within this framework can be helpful in determining how you want a piece to perform. Part of the human-centered content strategy is the practice of addressing the person as a whole. A Google search is only one small part of a person’s daily life. Building momentum is often easier when you talk to your audience on multiple platforms, allowing them to see and interact with your brand in ways that feel natural to them. It’s up to you to figure out which ways of interacting feel most natural to you and to shoppers. One way to tell is to look at which platforms your customers use to seek you out and then meet them there. Hiring a specialist can be a wise move to help you coordinate your strategies between multiple channels. As much as SEO can seem like a game played by, for and between software and algorithms, remembering the human element is key. Google is getting smarter and smarter, so it can tell if you are trying too hard to make your site search engine friendly or if you are truly aimed towards the end user. Know your customers and cater to them by creating captivating content for all of your digital spaces.